Purchase Your Shares in the South Bronx Community Supported Agriculture Program Today! Friends of Brook Park announced today that shares are still available for their 10th year of the South Bronx Community Supported Agriculture Program at Brook Park. Growing in popularity around the nation with demand significantly outpacing supply, Community Supported Agriculture (CSA) offers community members the opportunity to buy fresh, local, seasonal food directly from a farmer by purchasing a “share” in the farm. Shareholders “buy into” the farm as members at the start of the growing season, and in exchange receive a weekly allotment of the farm’s harvest. Shareholders and farmers share in both the risks and the many rewards of the growing season, which include weekly access to delicious, locally grown, nutritious vegetables – all grown without synthetic chemicals or pesticides. 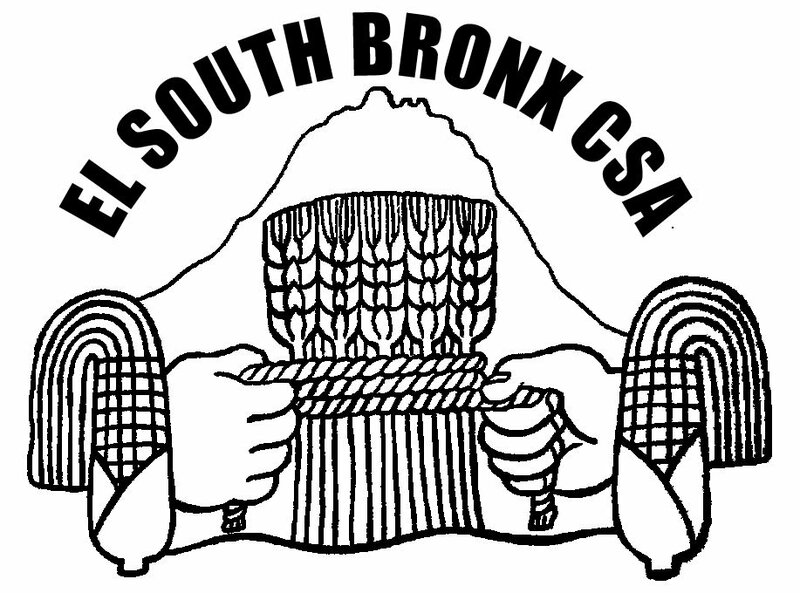 This year’s South Bronx CSA season will begin in June and run through late October. Share pick-ups are scheduled on Wednesdays from 2 PM – 7 PM at Brook Park located on East 141st Street and Brook Avenue in the Mott Haven neighborhood of the South Bronx. Shares are just the right size for two or three adults or a small family. Local organizations, community centers and tenant groups that order four of more shares can have it delivered by a non polluting bike cart and trailer. CSA crops have included: cilantro, jalapenos, arugula, beets, broccoli, Brussels sprouts, broccoli raab, carrots, cantaloupe, cauliflower, cabbages, sweet corn, chard, collard greens, celery, celery root, cucumbers, edamame, eggplant, escarole, fennel, herbs (basil, cilantro, dill, marjoram, parsley, summer savory, sage), kale, kohlrabi, lettuce, leeks, onions, potatoes, peas, pie pumpkins, parsnips, peppers, radishes, radicchio, sweet potatoes, spinach, scallions, summer squash, salad turnips, tomatoes (slicing and cherry), watermelon, winter squash and zucchini. There will be supplemental crops sometimes provided from the organic youth farm at Brook Park. Click here to register for your share in South Bronx CSA. In an effort to make healthy foods available to everyone, they offer sliding scale prices based on individual’s incomes, accept payment installments, and welcome SNAP (food stamps) and EBT. The bulk payment early in the season is typical of the CSA structure because it brings in the necessary cash flow that is needed to purchase expensive equipment, such as machinery, fertilizers, and seeds. This entry was posted in Blog, Mott Haven, Opportunities and tagged Brook Park, Community-supported agriculture, CSA, Farm, fresh, Friends of Brook Park, healthy foods, local, Mott Haven, seasonal, South Bronx, South Bronx CSA. Bookmark the permalink.